Do you speak Navajo? If not, then you are like me and probably didn’t know that “Tse’ bighanilini” means “the place where the water runs through the rock” and is a name of one of the most amazing places in the world. 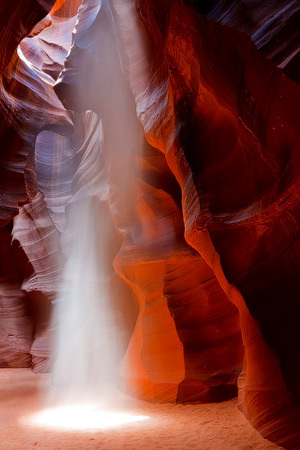 Unlike many others, it is a simple and meaningful name, however, it doesn’t explain why this canyon is so popular and attracts hundreds of tourists each day.